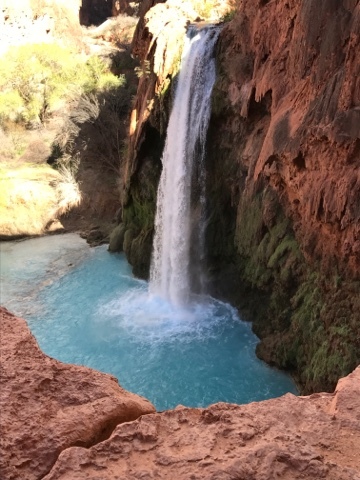 Our hike is named after the Havasu Falls pictured above. This Falls is just before the campground and is frequented by campers. At a year round temperature of 72 degrees it's not cold and not warm. It can feel warm in comparison to the air temperatures this time of year. 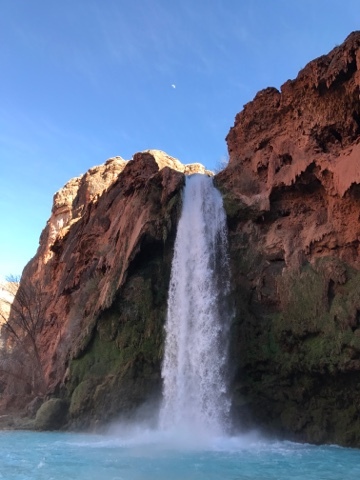 It is 90 ft tall and the most visited of the falls because of the climbing difficulty to Mooney Falls. 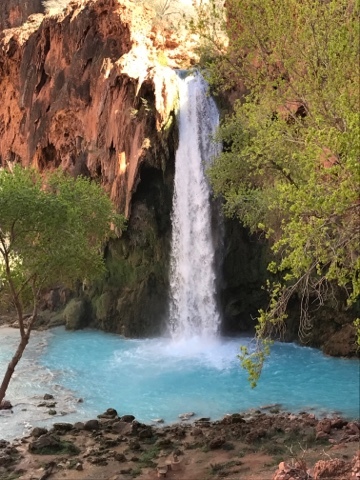 No matter how I looked at Havasu Falls it was just beautiful and it reminded me of some South Pacific island scene I saw in some movie. From this angle you can see in the above picture that the water is easily accessible by just walking in. Joanne chose to take a dip the first day. I'm not big on being chilled so I avoided the late afternoon dip. Above is the more looking down stream as it runs through the campground. 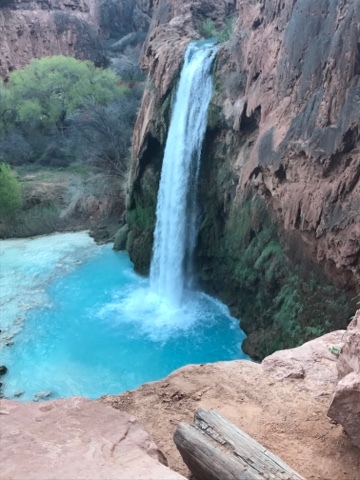 From this angle the water isn't as blue as other pictures. It was this picture that amazed me with the color. 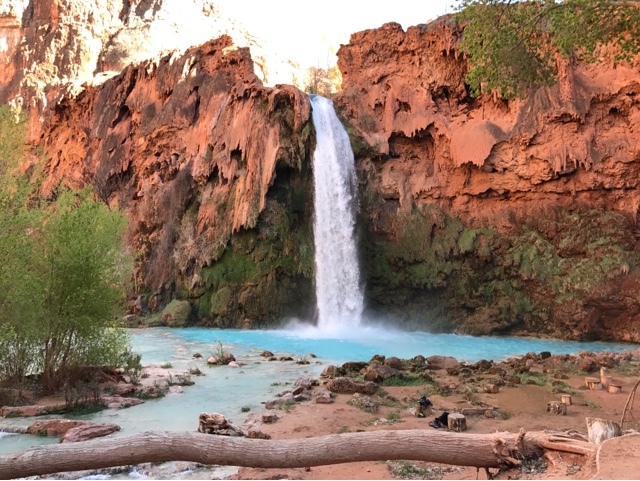 We were hiking out and we stopped for our last look and photos at Havasu Falls. 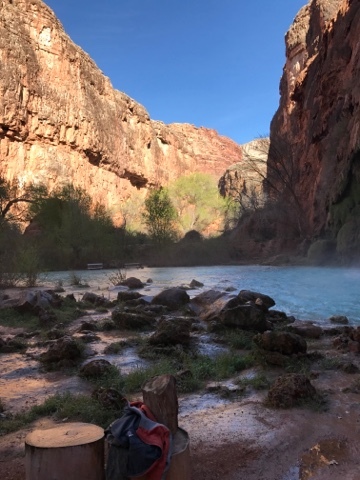 The sun was only hitting the rim of the canyon and the blue of the falls and pool below was just amazing. wow, just amazing! Thanks for the photos.